The Warhammer Vermintide 2 beta is available now to everyone on Xbox One. You can download it from the Microsoft Store. Swedish developer Fatshark also announced that the full game will be available on July 11th. Xbox Game Pass subscribers will be happy to know that the Standard Edition will be included on launch day; a Premium Edition is also available for purchase, priced at $45. After the huge success with the release of Warhammer: Vermintide 2 on PC, we are happy and excited to bring the game to Xbox One. We can’t wait to stick it to the Skaven and Chaos on another platform. Warhammer Vermintide 2 on Xbox One runs at native 4K resolution and includes Mixer integration. The game sold very well on PC since its debut earlier this year and it will be interesting to see whether it can replicate that level of success on consoles as well. 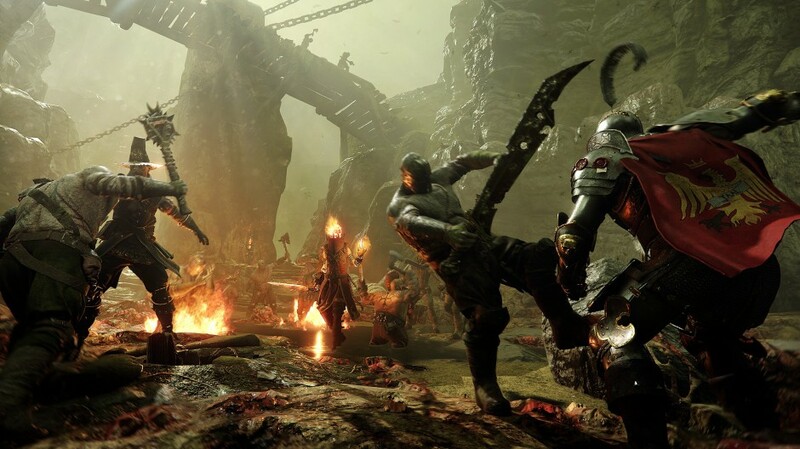 Warhammer: Vermintide 2 is the sequel to the critically acclaimed Warhammer: End Times – Vermintide. Fight together with your friends against the forces of Chaos and Skaven in this epic 4-player co-op game set in the Warhammer Fantasy Battles world. Vermintide 2 expands the intense first-person combat with a brand new enemy faction, 15 new career paths, talent trees, new weapons, an improved loot system, and more. • The Dark Pact: The combined forces of Chaos and Skaven are savage and merciless, and it will take a coordinated team effort to make it out alive. • Choose Your Path: Choose between 15 unique careers, each with different appearances, abilities, talents and weapons. • Master New Challenges: Experience unique scenarios and intense trials with our new Heroic Deeds System – consumable quests that will dramatically alter enemy composition, level settings, weapon use and mission objectives. • Progress Your Career: Level up your heroes and climb the talent tree of your chosen career, unlocking new abilities and gaining access to powerful gear along the way. • The Adventure Continues: Explore a wide range of breathtaking new levels set in and around Helmgart, a fortress city protecting the Bretonnian border of the Empire. • Claim Your Reward: Vermintide 2 features a new and improved loot system, rewarding each player with spoils of battle relevant to your chosen career – weapons, consumable quests, trinkets, cosmetics, crafting materials and more. • Stem the Tides: Facing the infinite numbers of the Skaven combined with the brutal strength of the Chaos army, the heroes must stand together. Sound tactics and fury must be employed in equal measure to overcome these unimaginable odds.